Spain has a rich cheese tradition that contains a wide range of different cheese types and variants. In Spain, cheese is made from cow’s milk, sheep’s milk or goat’s milk – or from a blend of all three. Generally speaking, Spanish goat cheese is associated with the Mediterranean coast, including coastal Catalonia and Andalucia. 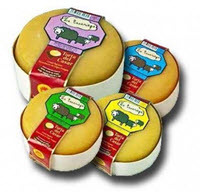 As we move further inland, sheep cheese becomes more common place, with sheep being ideally suited for the flatlands of areas such as the ones found in Castilla-León, Aragón, Extremadura and Castilla La Mancha. 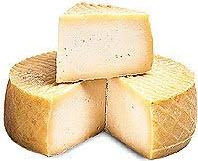 Finally, cheese from cow’s milk dominates the northern range of the country, from Galicia to Basque Country, and along the nothern Cantabric Mountain Ragen and the Pyrenees. Cheese is also produced on many islands away from the Spanish mainland, including the Balearic ones where goat cheeses and mixed-milk cheeses dominate. Famous Spanish cheeses such as the popular Manchego can often be found in reasonably well-assorted supermarkets, but if you want something more unusual for your cheese plate you will most likely need to search out a cheese shop or a shop specialising in Spanish or Mediterranean delicacies. Interested in sampling a few Spanish cheeses? Here are a few buying suggestions. If you want to try out two Spanish cheeses made from goat’s milk, Marjorero and Cabra al Romero are two excellent choices. Marjorero is one of the most well-known and popular of the Spanish goat cheeses and it is strongly associated with the island of Fuerteventura, which is one of the Canary Islands. 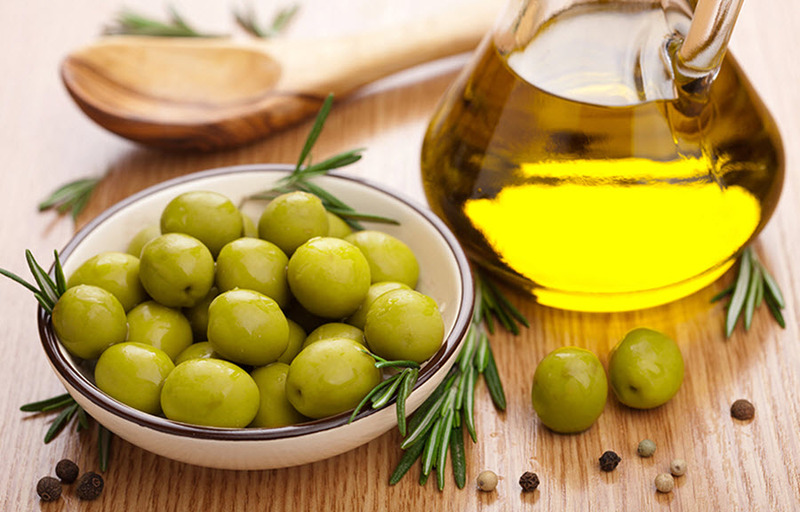 Marjorero protected under European Law with Protection Designation of Origin (PDO) status. 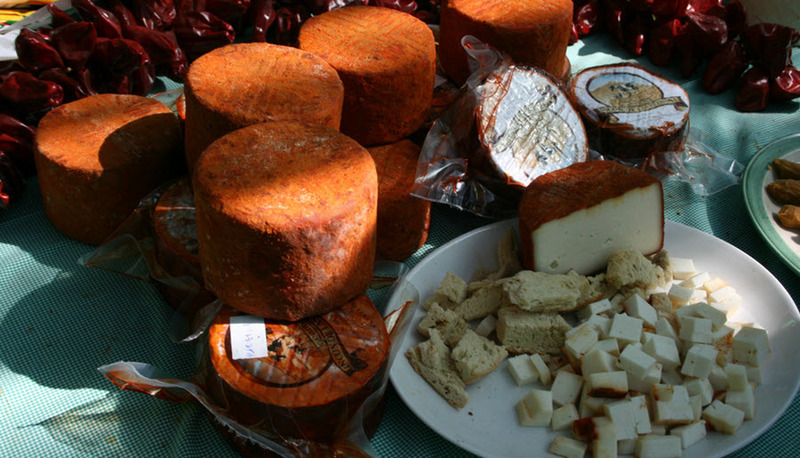 Majorero is typically sold in its natural rind rubbed with oil, or rubbed with pimenta, or with roasted gofio. Gofio is the Canarian name for a flour made from roasted grains or certain starchy plants. 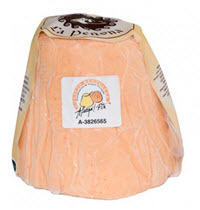 A marjorero cheese is firm with a nutty flavour. 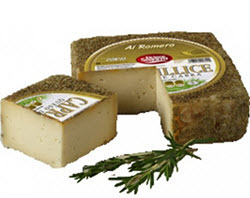 Cabra al Romero is a cheese coated with rosemary (romero). Unlike Marjorero, Cabra al Romero is a farily new addition to the assortment of Spanish goat cheese. 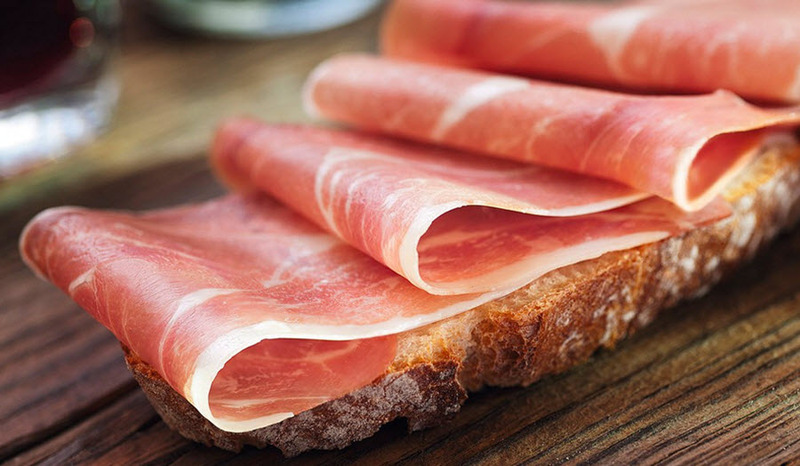 Cabra al Romero is made by a dairy in La Mancha in the central part of Spain. Below, you’ll find a two excellent choices for anyone interested in tasting Spanish cheese made from the milk of sheep. 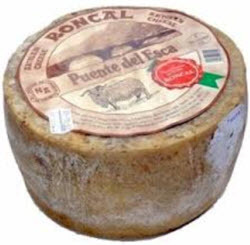 Roncal, a cheese from Valle de Roncal, is made from the milk of the renowned Lacha and Aragonesa breeds of sheep. These sheep moves with the seasons, from the high Pyrenees to Bardena area of Navarra, and their milk produces a cheese with nutty flavours and a firm, chewable texture. This cheese was developed in the countryside above Pamplona in the Pyrenees, where it was smoked in the rafters of the rustic dwellings occupied by herders. 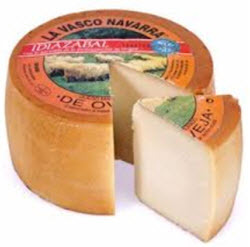 As the popularity of the Idiazabal (also spelled Idiazabel) spread, cheese makers throughout the Basque country began making it. Today, you can find small-scale as well as factory made Idiazabal. Idiazabal is a hard cheese with a buttery, nutty and smokey flavour. The texture is compact, oily and supple. 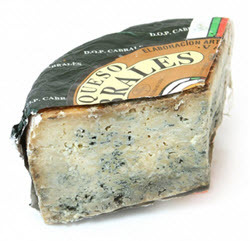 Cabrales is a blue cheese made from a blend of cow, sheep and goat milk. The exact proportions of the milks used will impact the flavour in a very noticeable way. Cabrales is made by farmers in the Picos de Europa mountains of Northern Spain. Sticking to tradition, these cheese makers still place their Cabrales in naturally occuring caves to mature in the cold, damp and salty winds that blow in from the Bay of Biscay. The humidity in these caves tend to stay around the 90% mark and the temperature doesn’t move outside the 8 – 12 degrees C span. In this environment, the penicillin fungi spores thrive, filling the Cabrales with streaks of blue and green over a period of two to five months. While in the caves, the Cavbrales cheese is regularly tended to, cleaned and turned by the farmers. Torta de Casar is very soft in the centre and firmer towards the rim. The flavour is intense, with a hint of bitterness but hardly any saltiness. Let a piece of Torta de Casar melt in your mouth to experience something out of the ordinary. Tetilla means breast, and the name hails from the conical shape of this unusual Spanish cow’s milk cheese. The Tetilla has a creamy and slightly salty flavour. The name of this cheese means something like “fire in the throat” and is a warning about the hot sensation brought on by this strong cheese as it sticks to the back of your throat. If you want to start easy, buy a young Afuega’ Pitu – the young ones have a fairly mild and milky flavour. The old Afuega’ Pitu is not for the faint of heart.